My ongoing project for a while now has been updating our fireplace. I’m including photos for now to show the progress. 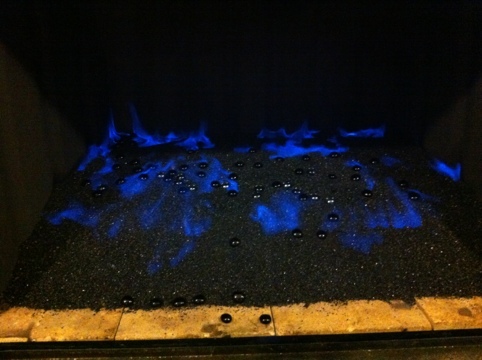 So close to done but there’s been a hiccup in how the flame spreads. Hopefully I’ll be able to fix it later today with some guidance from the fireglass specialists at Moderustic in Cali. 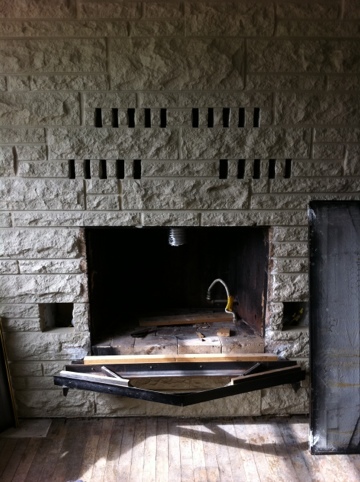 The first two photos show our fireplace after removing the hideous and defunct gas insert. Lots of peeling paint that I painstakingly ground off the metal liner. I later spray-painted with a high-temp paint in a flat black. 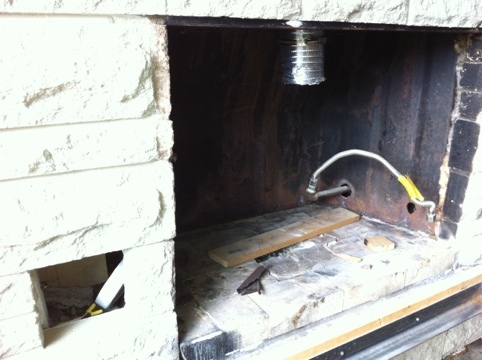 This entry was posted in heart+hearth, sparkles and tagged renovation on 21 February 2012 by cheryl.